Flavor of the Month is 2!!! Let's Celebrate! 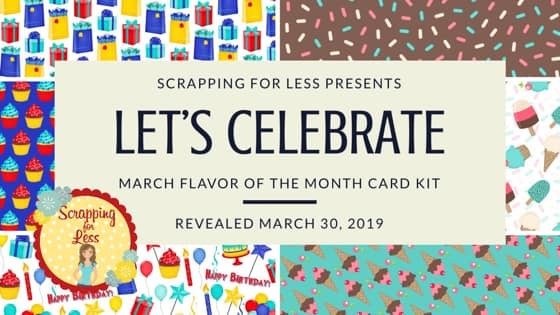 I cannot believe it has been 2 years since Scrapping for Less unveiled the first Flavor of the Month Card Kit. From selling 10 kits the first month; 5 of those being subscriptions to hundreds each month only 2 years later; I feel truly blessed to be able to bring this program to you each month. But not only that, I feel truly blessed to call each and every one of my customers part of the SFL family. So, this month we bring you a whole kit of Celebrations, Ice Cream Celebrations, Baby Celebrations, Birthday Celebrations, and Friendship Celebrations. Thanks so very much for all of your support. Hop along and see the inspiration the Design Team and Guest Designers have for you today. 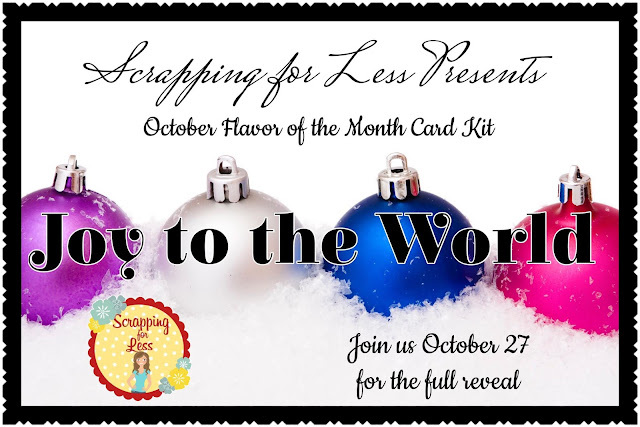 Head to Scrapping for Less Flavor of the Month page to purchase your kit. 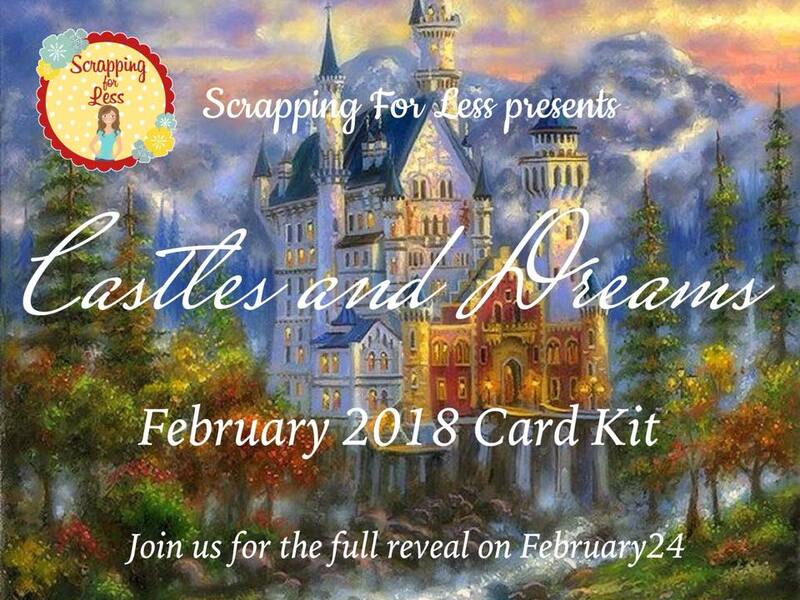 And if you happened upon this blog or paragraph make sure you go back to the Scrapping for Less blog to enter in the Rafflecopter for a chance to win a prize! 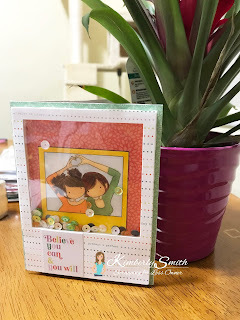 So for inspiration Kimberly and I teamed up together to create cards using this fabulous kit this month. On to my Creation: I have a confession...NO VIDEO...I was so disappointed...I hit record but it turned off for some reason after just a few minutes and I just kept recording! This story would have been so much better with my voice telling it!! The inspiration for this kit and the stamp set came from an experience when I taught first grade. We always did author studies and one of my favorite children's author is Laura Numeroff. Around Mother's Day we would always read her book "If You Give a Mouse a Cookie" It is a circle story that ends up right back where it started with the Mouse in the story doing all sorts of things. Well, what better writing in May than something for Mother's Day, so my first grader's wrote a book "If You Give your Mother a Kiss" Anyhow back to the Mouse...so that memory inspired me to see if I could have this mouse created for us to use it on this stamp. Then the paper could not have been any better. 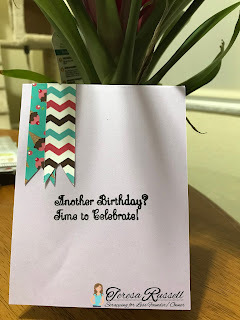 So, I hope you enjoy my card and you have a fabulous time hopping along and seeing all these wonderful creations this month.! 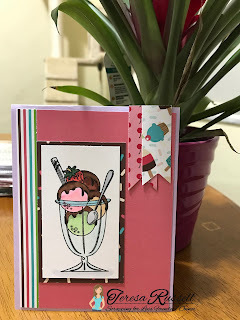 I used Collection 4 of the February Flavor of the Month "Whip it Up"
I also used Sketch #2 for this card. 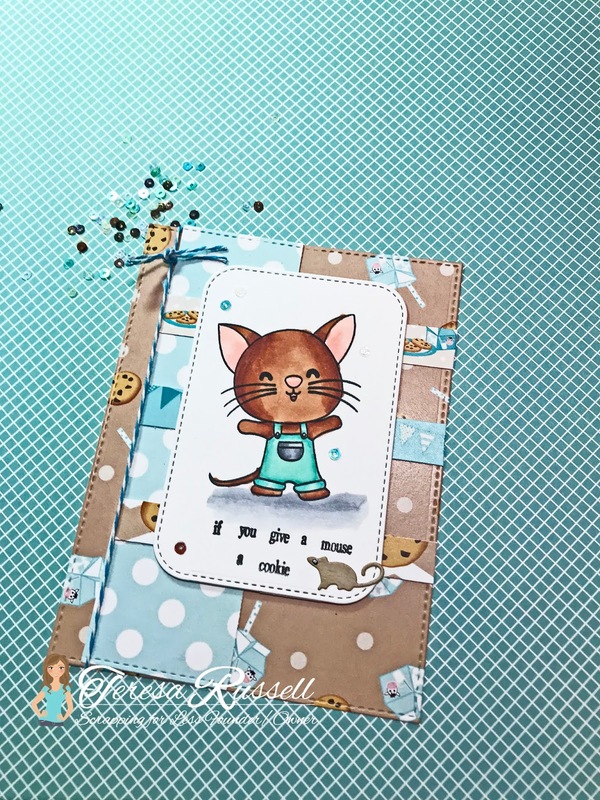 Make sure you head back to the blog and enter in the Rafflecopter for a chance towin a Past Card Kit. Sophisticated and Elegant? Well, just what does that mean? To me, it means I can dress up, be a girly girl, get all glammed up and go out on the town with my “Dapper Man”…of course since I am a laid back at home kind of gal that doesn’t happen very often. So, take advantage of the elegance in this kit and make some very unique and different cards for those sophisticated, elegant friends that you have in your life! Join the Design Team and some wonderful guest designers as they share great inspiration for you. So join in and hop along with us! I know this unique kit won’t last long so head on over and grab a Flavor of the Month kit for yourself. 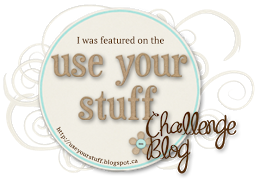 Don’t forget the Rafflecopter over at the SFL blog. Thanks for joining us today. 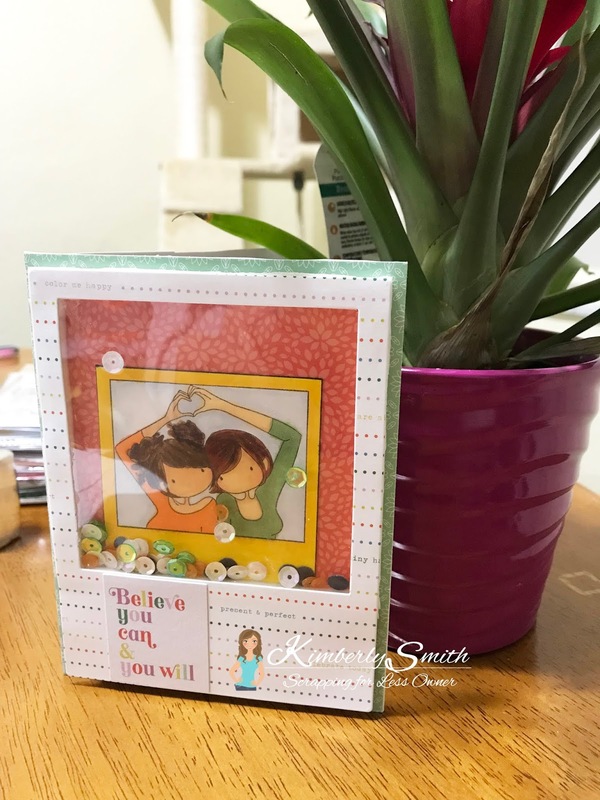 I was unable to use the kit due to the fact I only had 1 at home and I need it to show you in person/real time tomorrow...Join me on Facebook Live at 2pm EST and I will share the kit with you, answer any questions you may have, and just maybe make a couple quick cards. 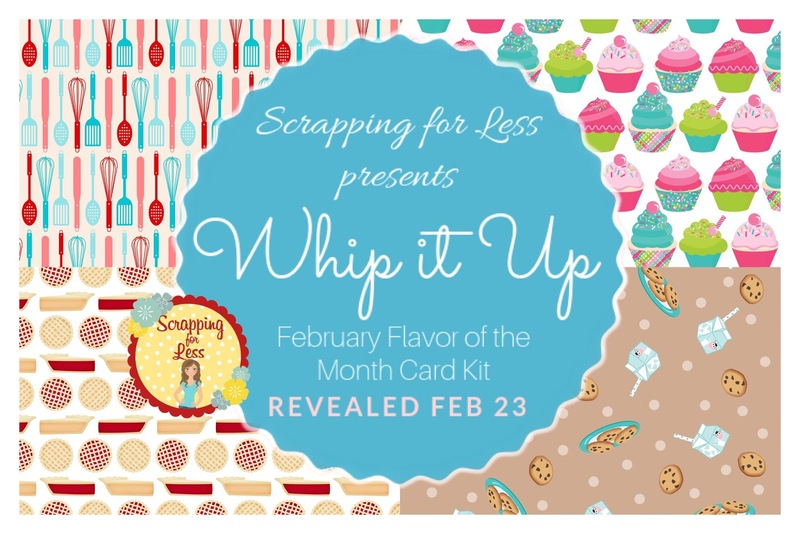 Thanks so much for all your support and being a part of the Scrapping for Less family! A late addition to the lineup. Head on over to Sandy Parker's YouTube Channel! 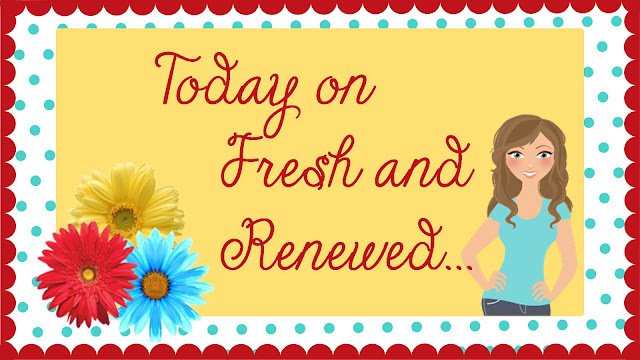 Thought I would pop in today and give a quick update on what has been going on in my life lately. I am happily retired from teaching. Loving my life...running my business Scrapping for Less! 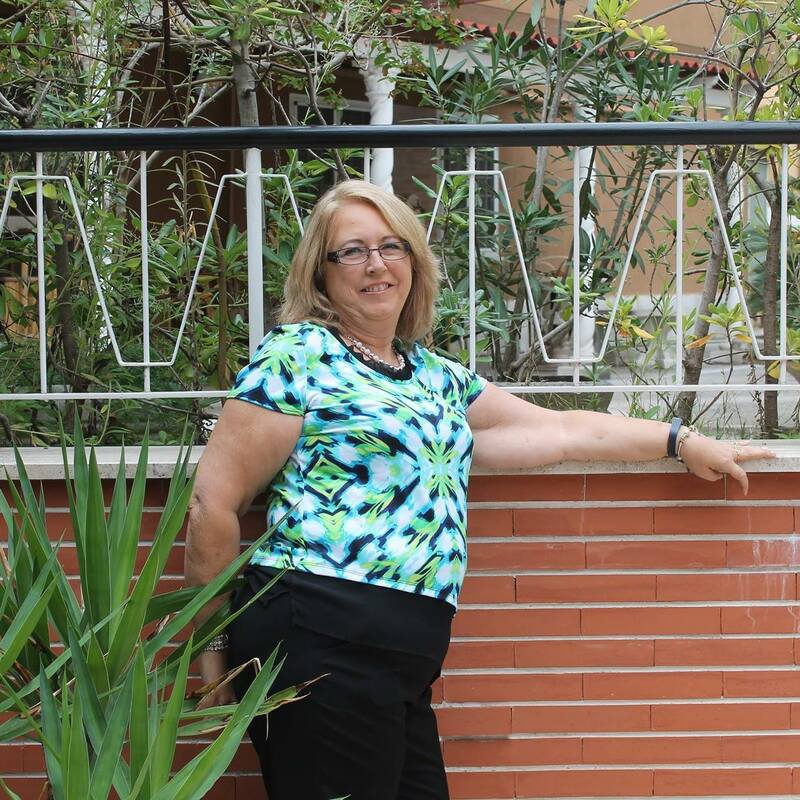 I spend time running the business, creating, and helping my daughter get through nursing school by picking up the slack with getting kids to and from school, appointments, and if they are sick. All 3 of those happened to collide together...oldest ortho appt, middle one sick, and picking up youngest from school. But, I wouldn't have it any other way. 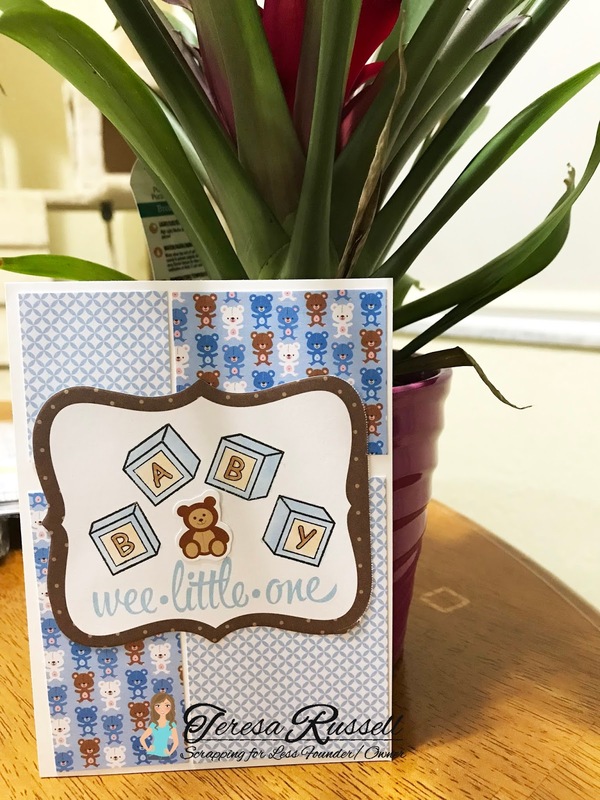 I have gotten into recently designing for our company and realize I absolutely love it...ephemera, paper pads, and stamps....and oh how I love my scripty fonts and being able to decide which to use on the various sentiments I choose. So, my advise to you today...if you are not living your dream, why not? What tiny little steps can you take towards making your dream a realization? I never thought I would be living mine, but here I am loving and enjoying life and a dream come true! I have a great bonus card for you today! This mermaid set is absolutely adorable! I loved making this card with all these wonderful supplies. Jenn has 2 videos for you today! 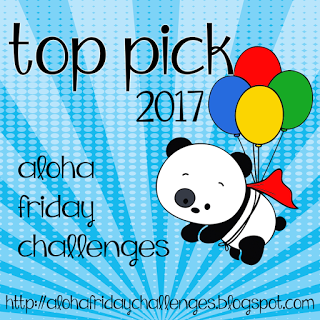 Make sure to head back to the SFL blog and enter the Rafflecopter! We are sooooo excited to bring you this kit for the month of February. This kit is packed with wonderful fantasy goodies. 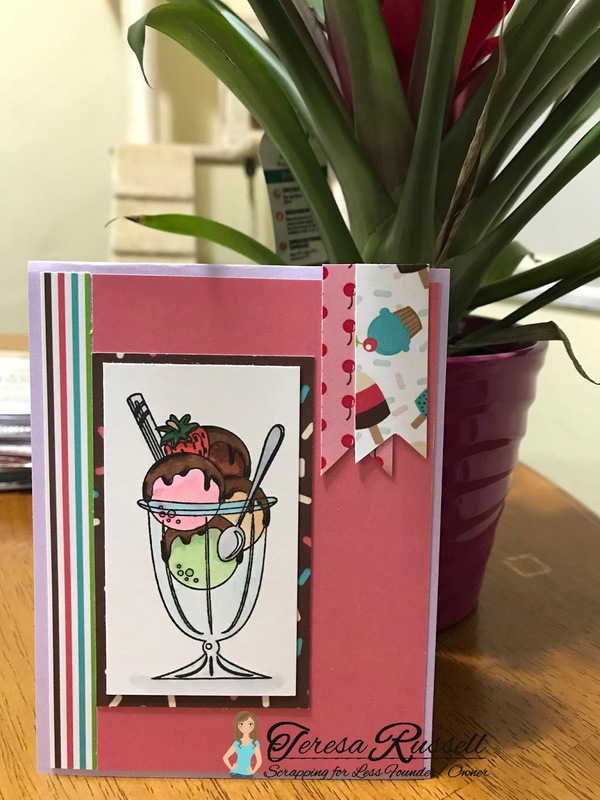 Some exclusives are included with this kit: Stamping Bella and La La Land Crafts partnered with us to have some exclusive stamps in this kit as well as Teresa's first ever sentiment stamp (there will be more of these to come) for the Banana Split level. So, don't delay there are limited kits available this month. Let your knight in shining armour deliver a kit to your door! 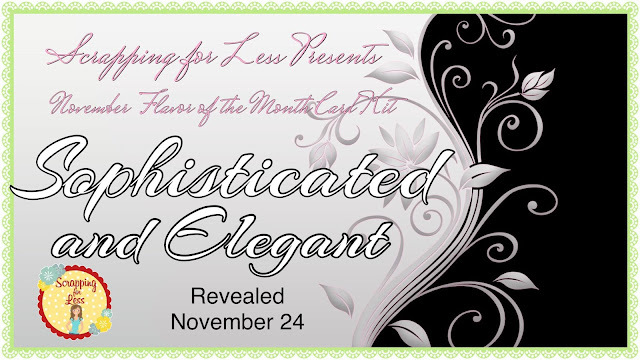 Head over to the Flavor of the Month page to get your kit now! 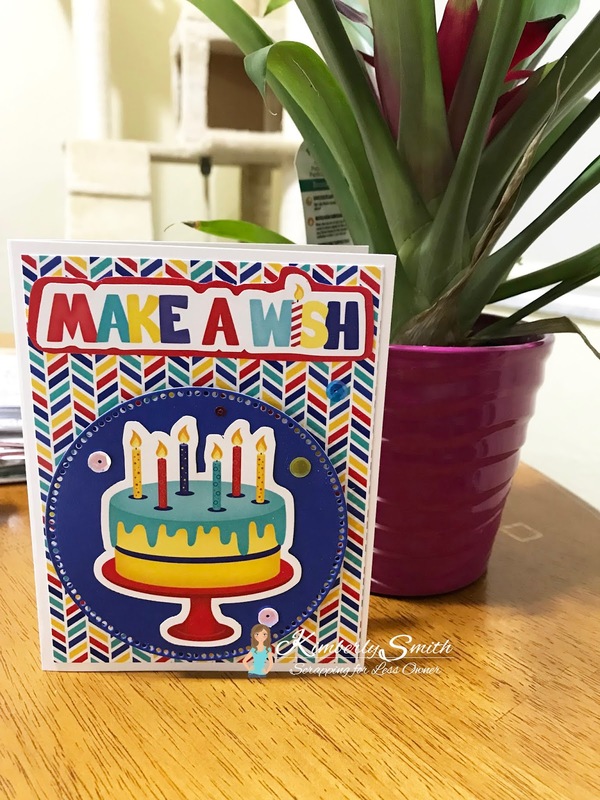 Enjoy all the wonderful creations our team and guest designer has for you today. So, sit back and join along in our fantasy world this morning. On all of these cards I used Collection #2 and components only within that collection. I used Sketch 1 on this card and the Avery Elle "Be A Unicorn" stamp and stamped it on the focal element of the card sketch. I colored this with my Polychromos colored pencils. I also used as elements on my card the beautiful sparkly star buttons that came with the kit. This card was Sketch #2 which I rotated. 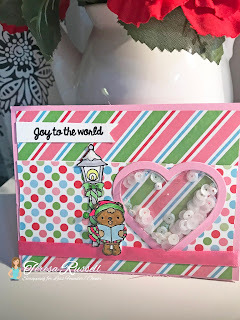 I used the cut apart for my focal point and then used the "Over the Rainbow" doodlepop that was the extra embellishment in the Banana Split kit to embellish the saying. I then scattered the Kennedy Grace sequins all over the card. Pretty simple and easy this one was. Sketch 3 was the most time consuming but only because it needed so many elements. I did change it up a bit from the sketch...You can find the sketches on the download page of the website. I used one of the sticker icons as my main focal point and then used the cut apart sheet as my sentiment on the page. I really liked how this one turned out! Sketch 4 was the simplest of all...a circle, strip, and a focal image! I added that rainbow star for some interest in the top left and the extra sentiment at the bottom. Thanks so very much for stopping by and sharing part of your day. I hope I have inspired some crafty inspiration. Don't forget to check out our YouTube channel throughout the month and see the new content that will be going up. So, if you don't want to miss out be sure and go and subscribe! Make sure after you have hopped you stop back over at Scrapping for Less to join in the rafflecopter!